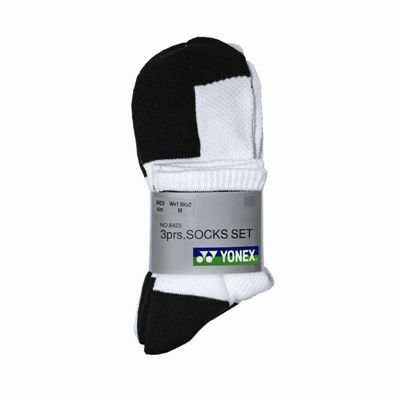 The Yonex W-8423 socks are made from 100% cotton and feature thick sole unit. These comfortable socks with Yonex logo ensure great breathability and come in a pack of 3 pairs. Searched for normal men's badminton socks and thought I'd found some - I didn't want those really short 'below the ankle' socks. These are shorter than I'd like but not quite as short as the below ankle version. Would've returned them but had already thrown away the packaging. Otherwise good quality. for submitting product review about Yonex W-8423 Socks 3 Pack.